Wow! I liked your card then when I saw it was a pop out ornament I thought that was just fantastic! How did you do that? Thanks for being a part of the watercooler challenges!! Stefanie, this is so cool. I love the option to remove and use the star as an ornament! Hi Stefanie, I love your card! 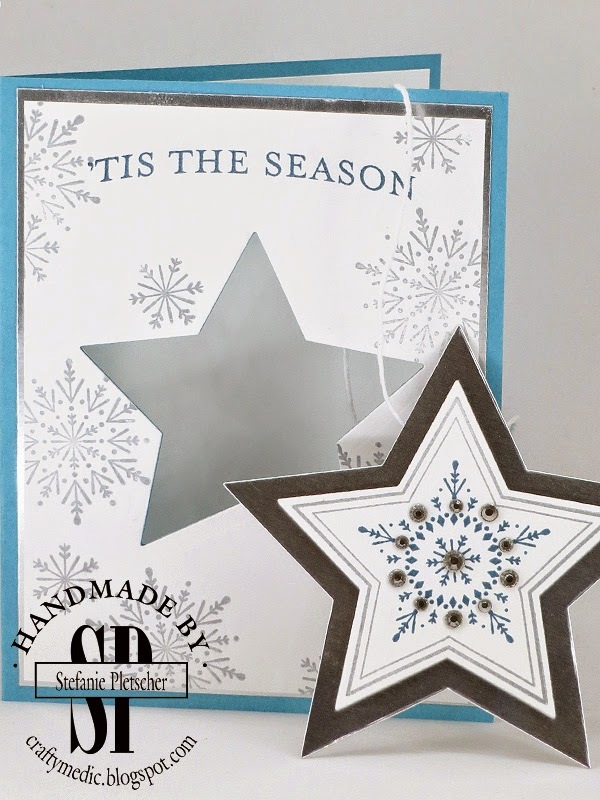 I thought it was beautifully crafted at first glance but when I realized that the star also pops out for use as an ornament, well, that put it over the top! 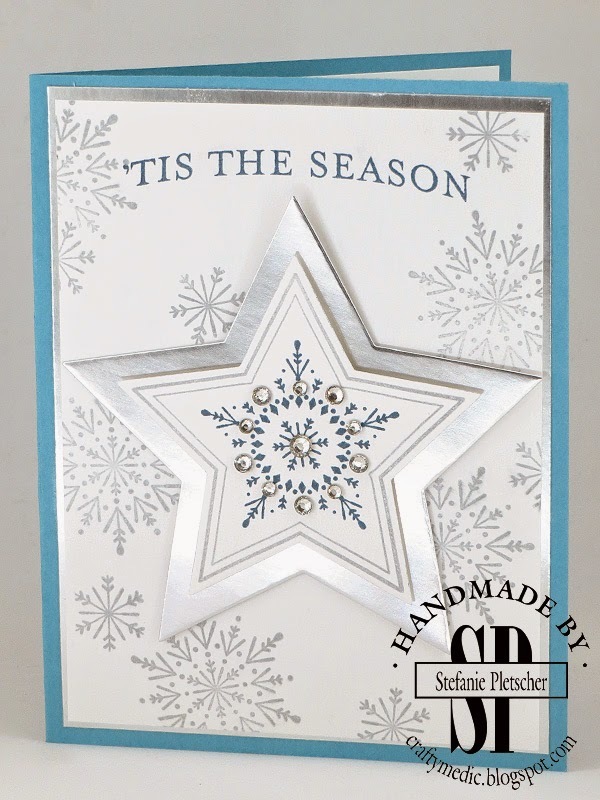 With or without the star being a pop out ornament it's one gorgeous card. Of course with the pop out it's totally fabulous. Thanks for the inspiration on the challenge Stefanie. Thanks for creating the color graphic too!